As the old saying goes: "There' s plenty of fish in the sea." And while it usually applies to, oddly enough, people, it is quite true in the literal sense as well. And just as many fish there are out there in not just the sea, but in lakes as rivers as well, it seems there' s a fishing boat for sale for each species. And as many powerboats as there are out there, it is a very competitive industry in each class. Many of the manufacturers specialize in one type of fishing boat, while others aim for the multi species fish boats. This means there are a lot of these boats out on the market so when considering purchasing one, you must ask yourself how and where will I be using my boat, and for which species will I be fishing? In the Great Lakes you' re going to want a deep V hull, aluminum boat, with high freeboards. These can handle the various weather and water conditions that can change as quickly as the wind. The deep V cuts through the waves and the high freeboards keeps the water out both at speed and at still when fishing. Great used fishing boats for sale in this area are Princecraft, Lund, Tracker and G3 Boats to name a few. 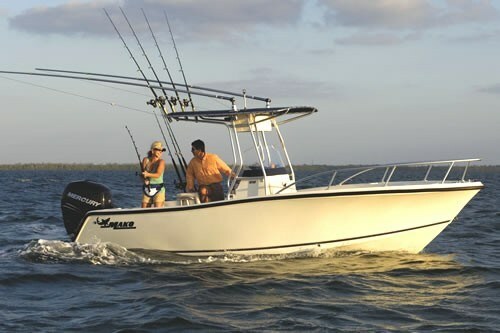 Out in the gulf waters and the coast, many prefer to use fiberglass center console fishing boats. These have similar designs as their aluminum counterparts with high freeboards and deep V' s but resist corrosion better. Many of these boats are "unsinkable," with the most popular of these being Boston Whaler. Bassboats are the complete opposite of these. They' re very low to the water and streamlined built for speed. In bass tournaments it' s all about getting to the spot faster than the next guy so they need boats to get the job done. The low profile not only reduces drag, but helps in landing the fish as well. The idea is to get the fish into the boat as quickly as possible, so the less height to lift it in, the better. Something that all of these boats have in common is that they all have tons of storage. Fishermen usually carry a lot of gear, and they need places to put it so they' re not tripping over it. The most successful companies are the ones who have the best storage and the most livewells. Another common thread with all fishing boats is that their owners are very passionate about their boats. A boat to a fisherman is just as important as the fish themselves. However, fishing still remains as one of the best ways to spend quality, family time together. An 18 foot tin boat with a tiller motor works just as well as the $100,000 center console... but the center console would be nice.